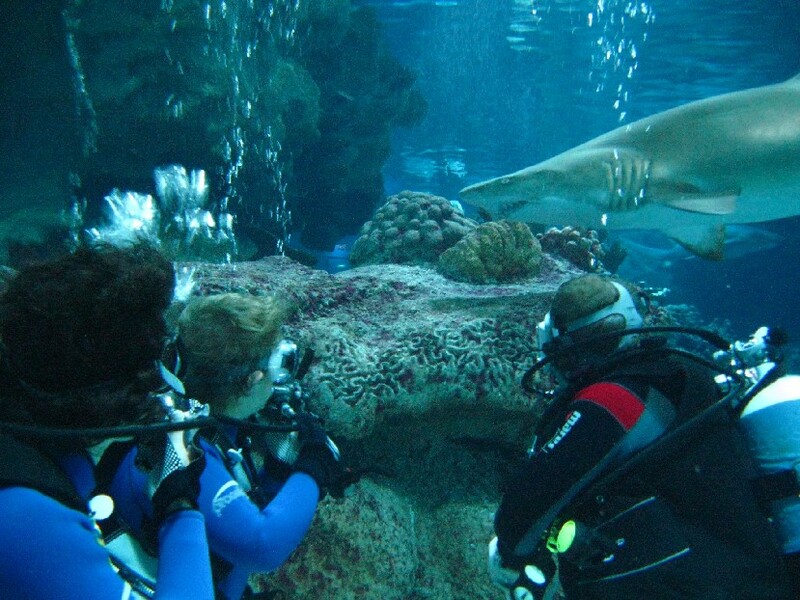 How often do you get the chance to meet a sand tiger shark up close? Well now you can at Blue Planet Aquarium, home to one of Europe’s largest collections of sharks! As a PADI Dive Centre, Blue Planet Aquarium offers the highest levels of customer service and product offerings to all of its visitors. And as you can now buy your dive voucher online, it’s never been easier to sign up for the experience of a lifetime! To find out more click on the links on the left or call us on 0151 357 8804. N.B. If you complete the open water experience, it is recommended that you wait at least 12 hours before flying.